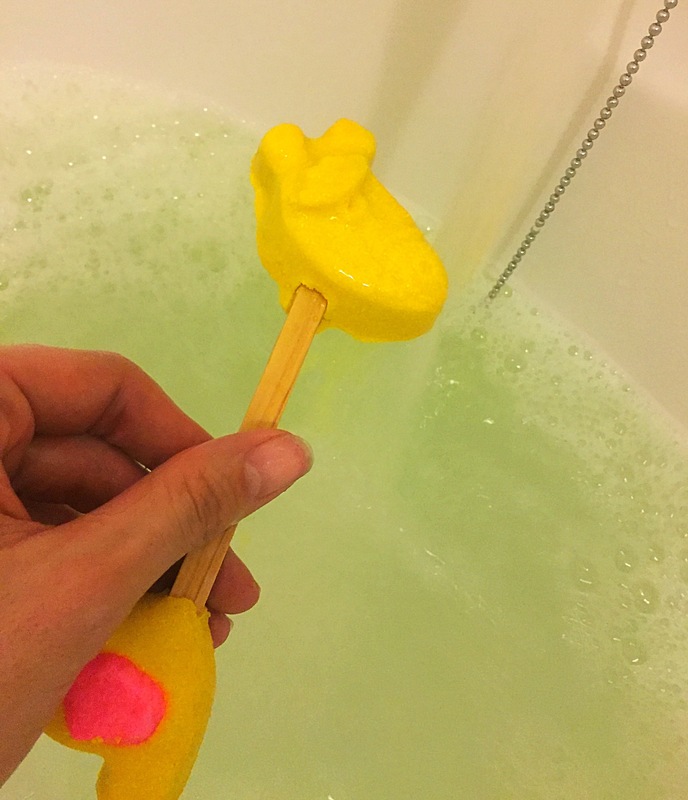 When I first first saw this reusable bubble bar it really made me smile. I’ve have this Giraffe teddy that I take on all my travels with me and it’s safe to say it gets a bit grubby. My mum always says to me when she sees it, this Giraffe really needs a bath!! So this bubble bar is perfect for me. The Elsie The Giraffe reusable bubble bar is such a cute, colourful and unique design. 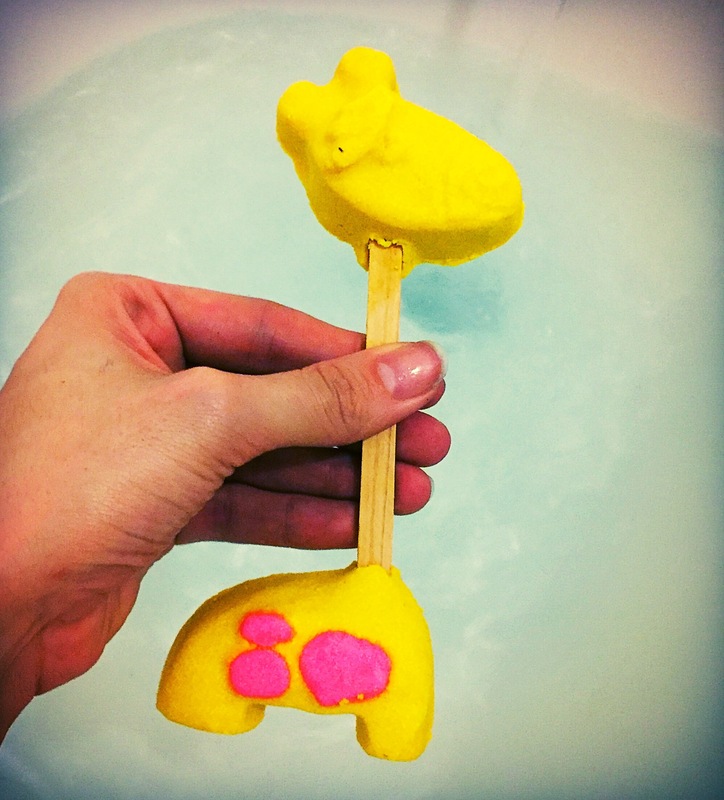 I find that the Lush reusable bubble bars tend to be very creative in their designs and I always end up loving them. The scent of the Elsie The Giraffe bubble bar is so fresh and uplifting. Containing lime oil, grapefruit oil and lemon oil it is a super zesty citrus scent. I feel this scent is perfect for the beginning of spring as it has such a uplifting scent which will wash away any winter blues. This bubble bar is defiantly great for a morning baths to help wake you up and get you feeling motivated for the day ahead. 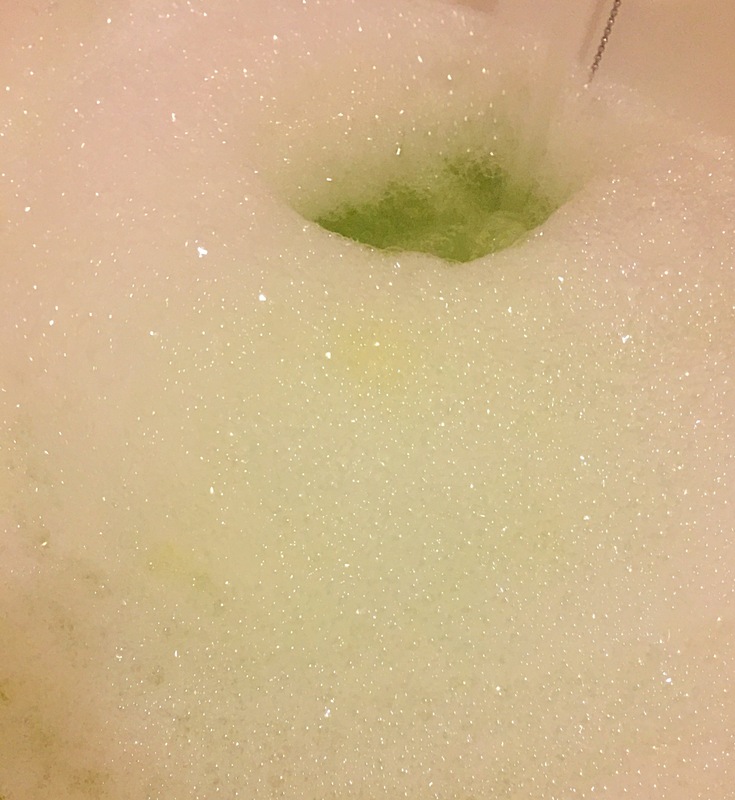 As with all of the Lush reusable bubble bars all you have to do is hold the bubble bar under running water and it will produce mountains of soft fluffy bubbles. I really loved that this bubble bars turns the water a lovely yellow colour as well. 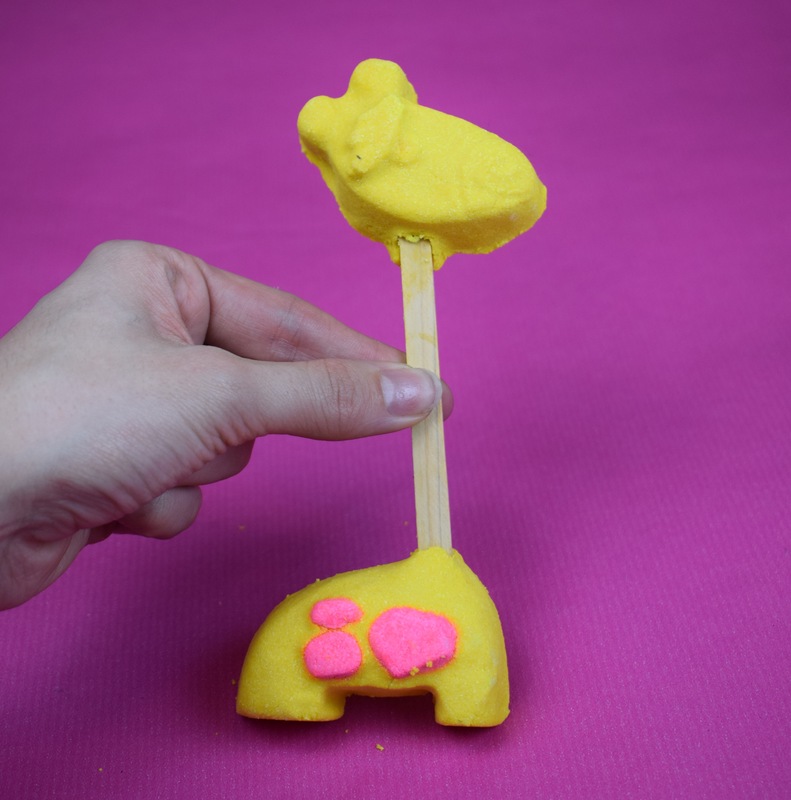 What makes the Elsie The Giraffe bubble bar a little different to normal is its double ended. Although unique in design I did find it a little awkward to use. When I held one end under the running water I found the other end difficult to hold withit out it getting soggy as well. I either ended up holding a slightly dissolved gooey mess or having my hand pretty much under the running water. Like all of the Lush reusable bubble bars once used all you have to do is pop the bubble bar somewhere to dry and then you can use it again. You could easily get a good three Bubbly bath out of this bubble bar. 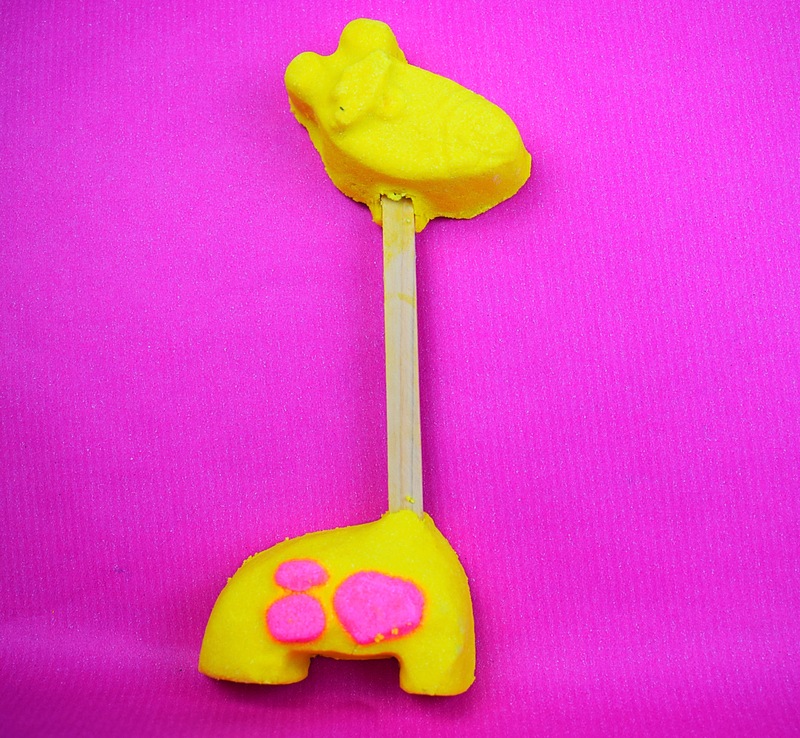 Overall I loved the Elsie The Giraffereusable bubble bar, the scent is wonderful and I really love the cute design. I think this would be a great bubble bath for children as well as it’s a super fun design and great fun to use.